Richmond, VA (March 17, 2018) The North Carolina Courage used their heads to earn the 3-0 victory over the Washington Spirit in their final preseason game. Abby Erceg, Jessica McDonald, and Kristen Hamilton each recorded a goal in the first NWSL game to be played at the historic City Stadium in Richmond. The Courage found the back of the net on their first corner kick of the game in the 12th minute. Set-piece specialist Abby Dahlkemper sent in a corner kick that found center back Erceg’s head to put the Courage up 1-0 early in the match. North Carolina continued to attack and quickly found the goal a second time in the 23rd minute. This time, two former UNC Tar Heels connected as McDonald had the header off of an assist by Crystal Dunn. The final Courage goal of the game came in the final minutes of the match in the 84th minute when Lynn Williams made a cross to Hamilton who got a foot on the ball, sending it into the net. A strong defensive line bolstered by Erceg, Dahlkemper, Jaelene Hinkle and Merritt Mathias led the NC Courage to their fifth and final shutout of the preseason. Additionally, goalkeepers Sabrina D’Angelo and Katelyn Rowland once again split time between the posts. 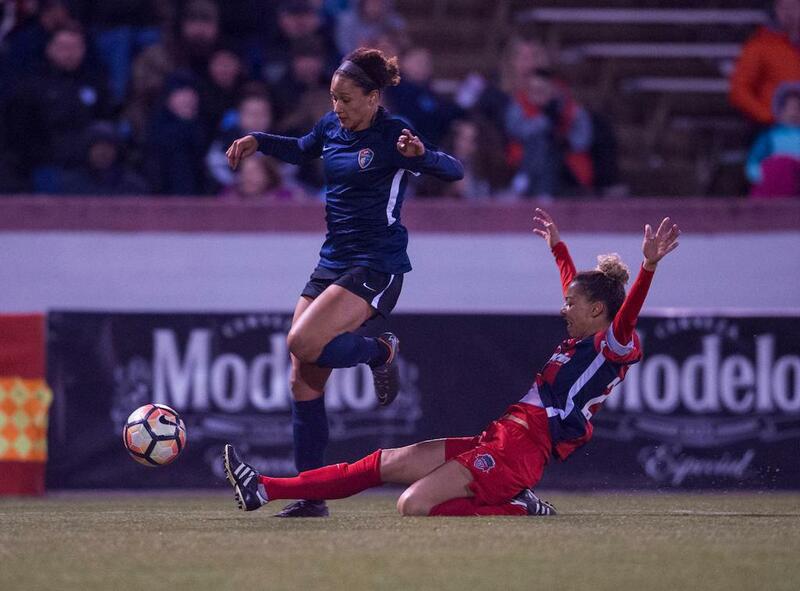 The NC Courage take on the Portland Thorns in the home opener Saturday, March 24 at 3:30 at Sahlen’s Stadium at WakeMed Soccer Park. Tickets are on sale now to this 2017 NWSL Championship rematch at NCCourage.com.